Hey there! Thanks for dropping by Reborn Online! Take a look around and grab the RSS feed to stay updated. See you around! Avatar tells the story of Jake Sully (Worthington, a paralyzed marine who’s twin brother was part of the Avatar project on the jungle planet of Pandora. 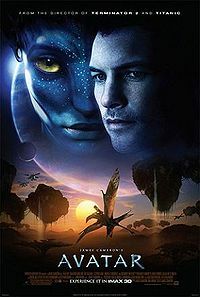 Due to the expensive nature of the Avatar, a host body that looks like one of Pandora’s natural inhabbitants, the Na’vi, Sully is put in as a replacement for his dead brother as his DNA is a match. Humans are planning to mine the planet for a rare form of mineral, and once Jake becomes part of the Na’vi tribe and falls in love, he stands up to save the Na’vi from the attacking military forces. It’s been a long time since we’ve seen a Cameron epic, even longer since his last foray into the Sci-Fi genre, and Avatar steps up to the plate in a big way. Featuring new technology built from the ground up, the 3D animation of this movie needs to be seen to be believed. Leaving the cinema for the first time left me with such a feeling of joy that I haven’t felt since I first saw Star Wars when I was a child. Unfortunately the advances in technology won’t be as appreciated now as they were then. Each member of the cast puts in a stellar performance, the only aspect that lets this movie down is it’s rather generic storyline. Generic and predictable doesn’t always mean bad, James Cameron has always been a great story teller, and that’s what Avatar is; a great story told in a masterful way. See this movie in 3D and be amazed.